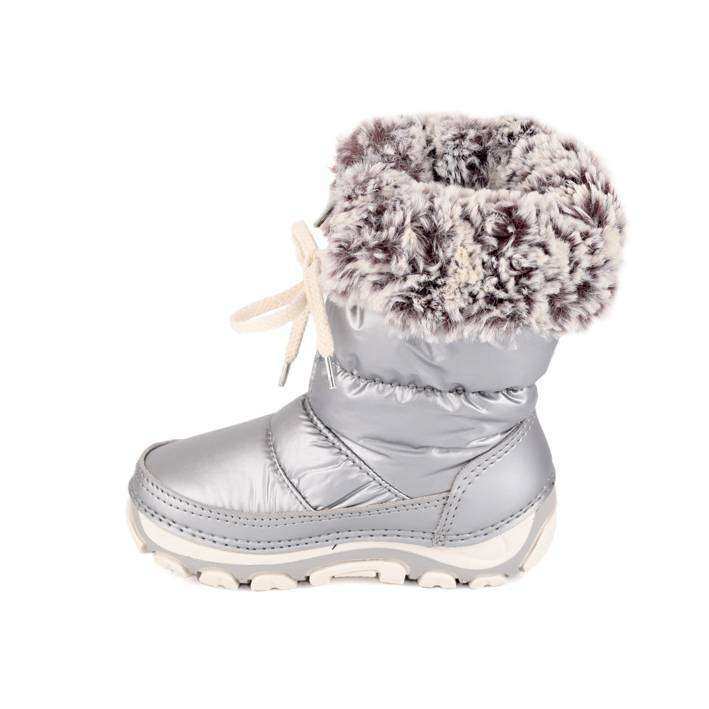 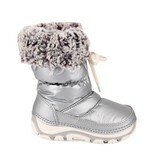 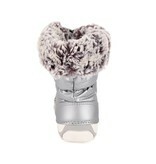 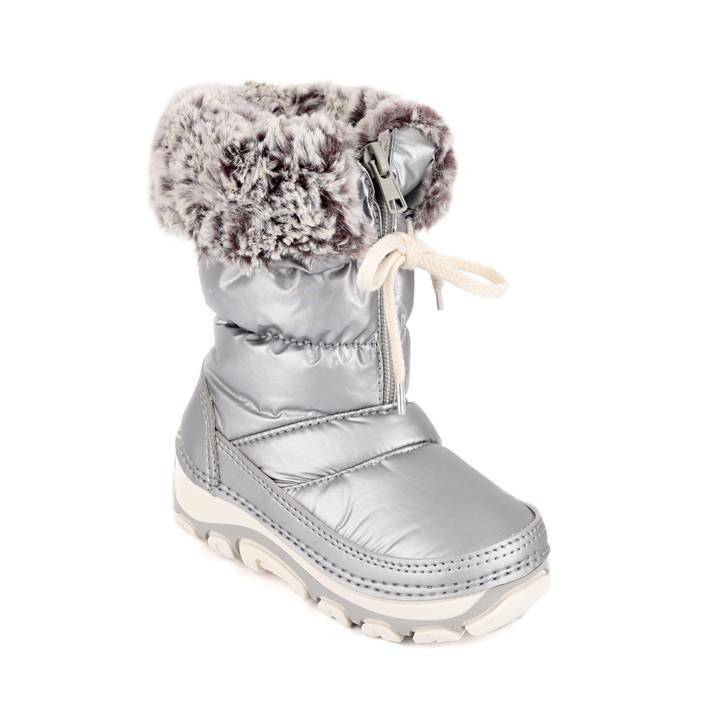 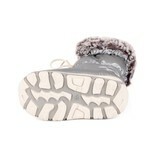 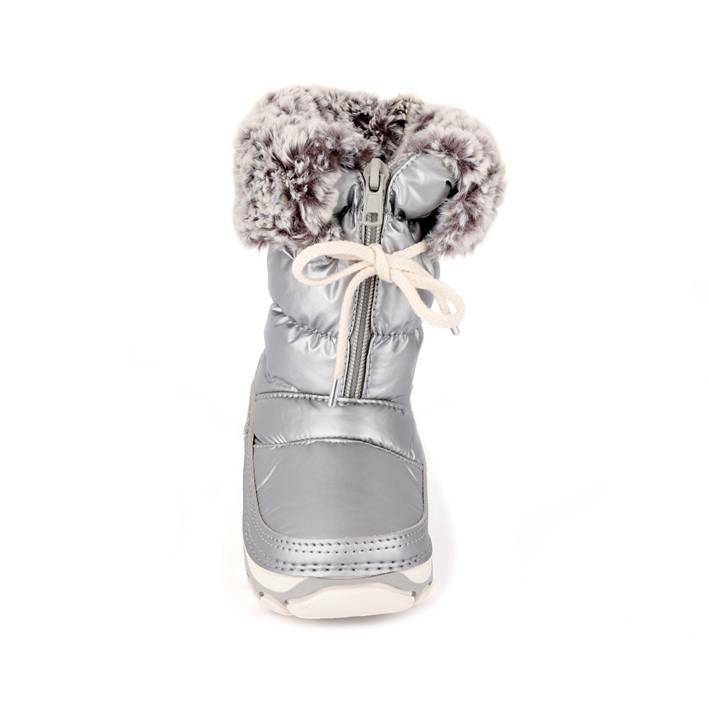 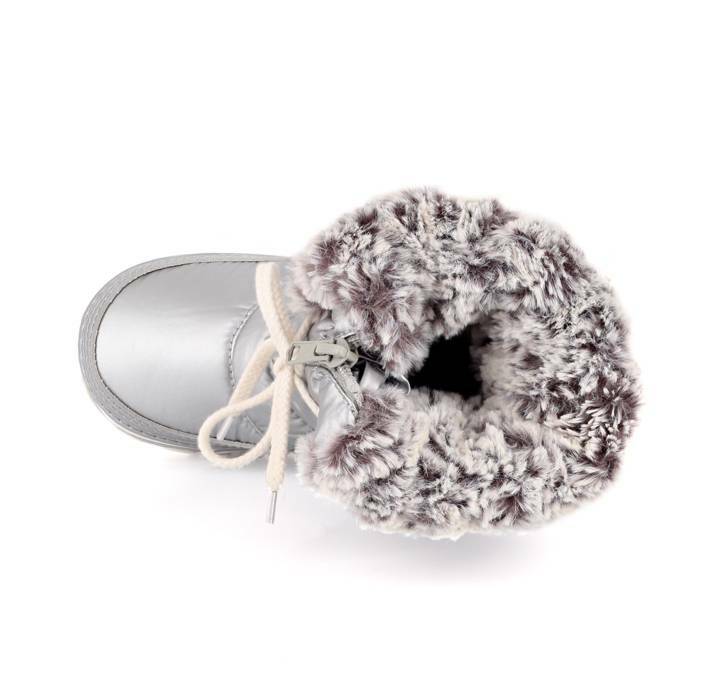 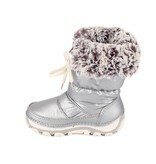 This cool silver Snow Boot has zipped closing and synthetic fur. The fur collar has a lace and can be folded back or be worn up to give extra warmth to the legs. 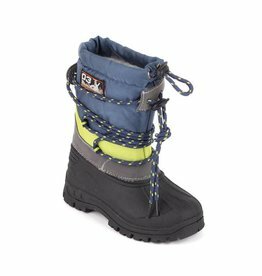 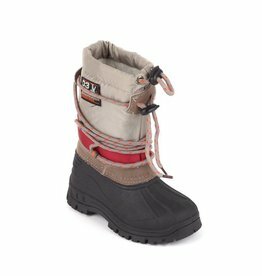 These snow boots keep snow and moisture out and heat inside.